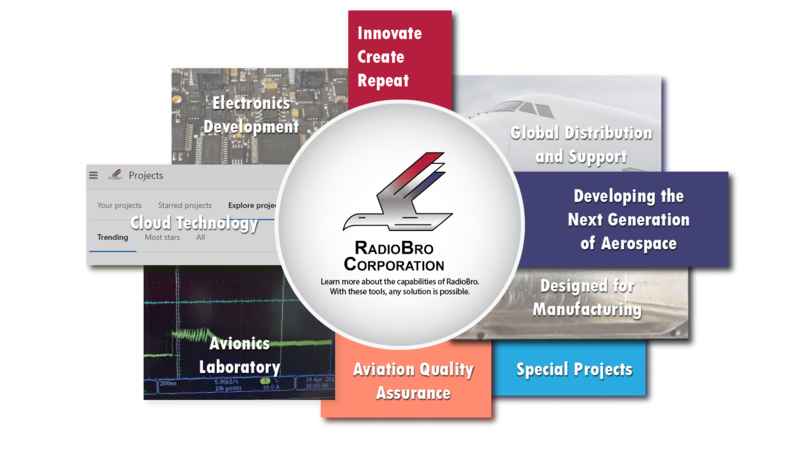 RadioBro Corporation is a team of engineers dedicated to harnessing emerging technologies to produce new, effective solutions to persistent challenges in aerospace and defense. Our expertise in aerospace, mechanical, electrical, computer, and systems engineering, material science, and advanced manufacturing enable us to invent turnkey systems, make improvements to clients’ existing systems, and develop unique components. Though the majority of work at RadioBro is supplying our OEM components and systems, RadioBro does offer its engineering and project management talent towards as contracted services. Contact us for more information. RadioBro serves as a distributor for some brands that compliment the RadioBro product selection. Click here for Brands. Working with RadioBro brings our strengths to your product. We believe that collaboration is the greatest force multiplier for innovation and effective solutions - not just in engineering, but across the entire spectrum of product and system development, from design to manufacturing to integration. If you are interested in exploring ways to partner with RadioBro, contact us.